Olivia S. Lee is a partner in the firm’s New York office. She is a member of the firm’s matrimonial and family law practice, where she represents individuals in a wide range of issues, including custody, child and spousal support, equitable distribution, geographic relocation, and negotiation of prenuptial, postnuptial and separation agreements. Olivia is committed to providing her clients with exceptional care, specially tailored to meet the intricacies of each individual’s case. She achieves resolutions for her clients both through negotiated settlement and through litigation, both at trial and appellate levels. Prior to joining the firm’s matrimonial and family law practice, Olivia practiced in the commercial litigation, banking and real estate group. Olivia was admitted to the New York State Bar in 2011, following her graduation from Cornell Law School in May 2010. During law school, she served as an Editor of the Cornell International Law Journal and studied international law both at the Sorbonne and the University of Amsterdam. In addition, she was a fellow and editorial contributor to the Cornell Legal Information Institute. 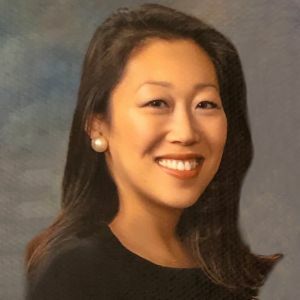 Her professional activities include memberships in the New York State Bar Association (Family Law Section), the Brooklyn Bar Association, and the New York Women’s Bar Association, where she will serve as a co-chair of the Matrimonial Committee in 2019-2020. She currently serves as a member of the Matrimonial Committee of the New York City Bar Association. She is also dedicated to public service by participating in the Matrimonial Project for the New York Women’s Bar Association and the Kings County Matrimonial Pro Bono Project, in addition to privately volunteering at several family-oriented organizations throughout New York City. Olivia was included on the list of New York Super Lawyers as a Rising Star for 2018. In 2018, Olivia was admitted to the bar of the Supreme Court of the United States.